There are times when you Visual Studio instance might not start up correctly. One of the best option during this time is to use Microsoft Visual Studio in safe mode. 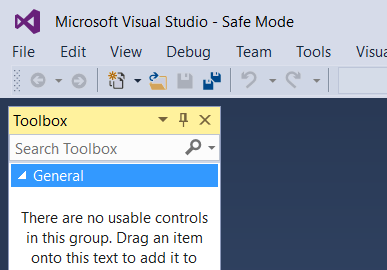 By running the Visual Studio in safe mode, you work with the default environment. In this mode, all the third party extensions would be disabled. This would help you identify if at all the problem was caused by any third party add-ins. 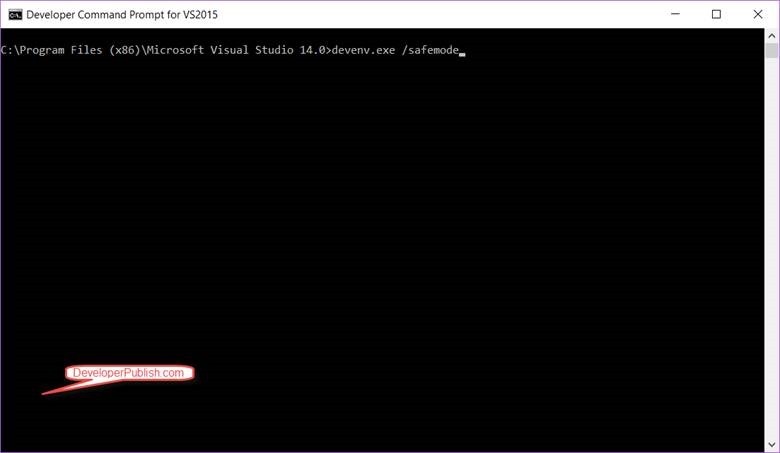 After the command is executed, Microsoft Visual Studio 2015 will start in safe mode which is indicated in the title bar of Visual Studio 2015.